World healthcare stands before considerable challenges. Public resources will be eventually proved inadequate for a growing population of the elderly and those who require a higher degree of medical care. New procedures and methods are needed to manage both human and economic resources. Medical and nursing personnel must be able to devote their time to what they are best at- attending to those in need of care. Their warm touch has to be far-reaching. For us this means that healthcare personnel should do the work that can only be done by people. Everything else can be handled through technology. This is how we can meet the challenges of the future.But technology must never become an end unto itself. It has to serve as a tool to enable a more human level of care, a higher quality of life and, not least of all, a greater degree of security for both families and personnel alike. This is also one of our core beliefs at Phoniro. It all started in 2002, when Swedish homecare personnel were asked to describe the biggest problems they faced. Key management turned out to rank much higher in the survey than we would have anticipated. Managing an extensive inventory of keys takes time, and key loss presents a major risk. A solution to this problem became a starting point for our business model, and Phoniro was founded in 2004. Working together with home care services in several municipalities, we developed a solution for an ordinary door lock that could be opened with a mobile phone instead of a key. The home care client knows that it is homecare services at their door, and not an unwanted guest. At the same time, home care providers no longer had to manage a jumble of keys.Today we are a global leader in digital key management, a pioneering breakthrough created by Swedish engineers. Our initiative was a success, and our technology caught the eye of many municipalities. Today this technology is also used in other contexts of care, such as in assisted living facilities. The idea of replacing all keys with mobiles took us into new territory. The mobile can also carry other types of data, and can be coordinated with other information. We have therefore developed our IT system to communicate with the municipal business management systems. Every working day, the telephones submit data on work schedules and agendas to the business system. This can be done either with smartphones or a digital pen. This information is used for follow-up and planning, serving to free up time so that personnel can dedicate their time to providing care. 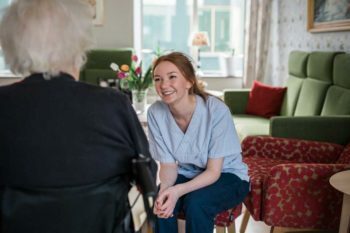 Phoniro is one of the clear market leaders in providing welfare technology solutions to the elderly care sector and we are since early 2018 part of ASSA ABLOY Global Solutions. The market is changing and is in strong growth since the population is getting older and digitalization is a must to secure a high-quality elderly care. Phoniro Care is our common cloud platform for all our solutions and includes modules for digital key management, time & attendance, alarms and remote visits. Phoniro has an important purpose. Everything we do is aimed at streamlining and improving today’s healthcare system for all parties involved. 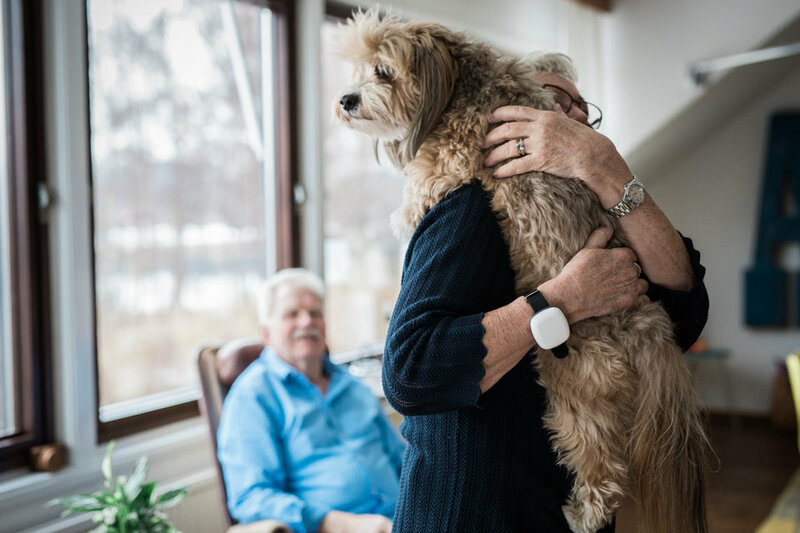 We help make sure that loved ones enjoy greater value from their care and a more secure every day – We enable a richer Life for an ageing population!